Cheers all. 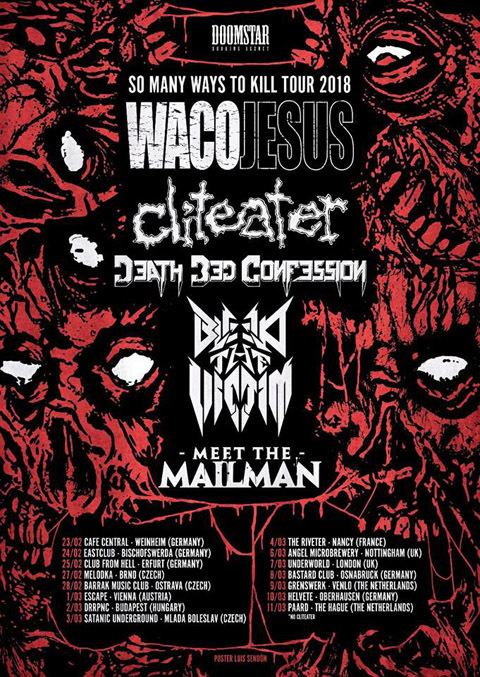 We will go on tour again from February 23th till March 10th with our friends of Waco Jesus, Death bed confession, Meet the mailman and Bleed the victim. Can't wait to hit the road again! Cliteater's official music video for 'Nuke Them All'. Track 3 of their latest album "From Enslavement To Clitoration', released on March 18th 2016 on War Anthem Records. Last weekend we recorded our 2nd official video for the song "Nuke em all" The video will be released around april 2017! 3 January 2017: Happy new year! Cliteater is happy to anounce that we play on Protzen open air again in June 2017! Looking forward to hit the stage again! Where to start... 2016 was one of the best years of Cliteater since we started back in 2002. First of all our album "From enslavement to clitoration" was released in March. We did a very succesfull Europe tour with Waco Jesus, A threat to the enemy, Krotchripper, Verderver and Monkeysoop. Best times ever. Also we did a Dutch clubshow tour with our friends of Legion of the damned and Sisters of suffocation. We did some very nice summerfestivals like Summerbreeze, metal frenzy etc and last but not least we had lots of fun with the people we met on the road. We wanna thank everyone who made this year great for us and thank you for the support! Next year we have a lot a new plans so keep an eye on this site. Cliteater wishes you all the best for 2017 and looking forward to see you all back next year! 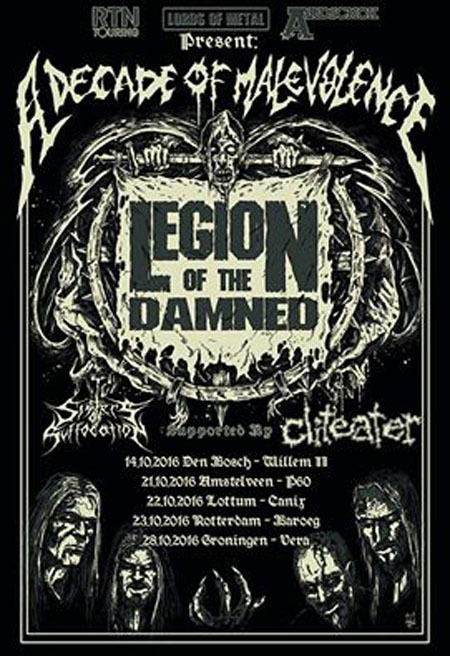 Hellyeah, in Octobre this year we are gonna do some very rare Dutch shows together with our long time friends and buddies of Legion of the damned. 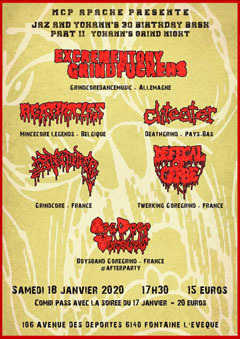 Really looking forward to grind and thrash em all! Also supported by the brutal ladies of Sisters of suffocation! Don,t mis this! 16 march 2016: Back from tour! Cheers all, we are safe back from a awesome tour togeter with Waco Jesus, A Threat To The Enemy, Krotchripper, Verderver and Monkeysoop. It was a hell off a great ride and we want to thanl all of those who were involved and visited our shows! 4 january 2016: Happy new year! Cheerz all, we wanna wish you all a happy new year and we hope we can count again on your support! It's gonna be a busy year for us with the release of our new album "From Enslavement To Clitoration" in April and a 16 day Europe tour in February/March and a small UK tour in October. Besides that the lots of shows are booked yet so we really looking forward to see you all on the road again!